1. The "Save" dialog now includes the option to save as CSV. This saves a matrix of dwell values, with the first row and column denoting the real and imaginary parts of the complex numbers that are the co-ordinates for each calculated value. Added a header section to the CSV file defining the fractal and the region that have been exported. Changed field-delimiter to a semi-colon to avoid problems for localisations that use a comma for the decimal point. 2. Updated the "Order a product from Zazzle" feature to account for changes to the Zazzle website; prices now display correctly within Mandelbrot Explorer. Zazzle Integration has been temporarily removed from the application. It no longer works in older versions, but this will take some time to fix. Rather than delay releasing 3.4 until this can be resolved, the feature has been disabled. 3. Disabled the “Adobe Kuler” colour layers. Adobe have discontinued Kuler, and replaced it with a new community-based colour scheme tool called “Adobe Color”. Color has no API, so cannot be used in an application like Mandelbrot Explorer. (Saved files that made use of Kuler layers still load correctly). 4. Updated Facebook image upload so that it uses the latest Facebook API; earlier versions of Mandelbrot Explorer used an API that is no longer supported, so this change restores Facebook integration for version 3.4. 5. Various other minor documentation, menu and user-interface changes to ensure all features are working as they should. 1. Support for computers with multiple processors and for multi-core processors. The calculation of the fractals is now, by default, distributed between all the available cores in the computer, greatly increasing the speed of calculation on machines with more than one processor core. (The Options screen allows you to disable this feature, or to limit the number of cores that Mandelbrot Explorer will be allowed to use, if you want to keep some processing space available for other applications). 2. The "percentage completed" progress meter has been changed for the calculation stage. Previously, this percentage indicated the number of pixels that had been calculated. Now it indicates the progress through the whole calculation taking into account the fact that some pixels take much longer to calculate than others. In short, the progress meter now moves at a more even speed during the calculation stage. 3. The estimated time for a calculation now updates as the calculation proceeds, according to whether the calculation appears to be running faster or slower than expected. 4. Integration with facebook. You can sign-in to your facebook account, and then share the fractals you create with others by uploading them to your wall and to a specially created album. 5. The X and Y resolution of fractal images no longer need to be an exact multiple of 40. 6. If you have Mandelbrot Explorer running, you can now drag a file from Windows Explorer onto the title bar of the application to load that file. This may be quicker than clicking the "Open" button on the toolbar and browsing to find the file. 7. When you load a file from disc, you can now set an option so that the calculation beings immediately, rather than having to click "Go" as a separate step. 8. Splash screen on start-up, to reassure the user that the application is loading. 10. Other small bug fixes. If you were aware of a bug with a previous version, please feel free to get in touch to ask if it's fixed (or to tell me about it so that the next version can fix it). 1. When running on Windows 7, the progress of Mandelbrot Explorer's calculations is shown with green shading in the taskbar icon, to make use of this new feature in the Windows 7 taskbar. 2. Random exploration has been improved, so that: (i) the areas chosen for magnification contain more interesting patterns, rather than the speckly regions of previous versions; (ii) starting random exploration with the whole Mandelbrot Set, the regions explored are distributed more evenly around the edge of the set; (iii) there is a yellow box displayed on screen to show the next area to be drawn, as opposed to a small box that just shows the centre of the next area to be drawn. 3. Integration with Adobe Kuler, allowing you to search for colour palettes, and apply them as colour schemes, from those that have been uploaded to Kuler. You can do all this within Mandelbrot Explorer. 4. Added a new file type, Mandelbrot Explorer Raw Data, which has the extension of .mxrw. If you save one of these files, the fractal you are viewing, and the co-ordinates of the region of it, are saved (as in a .mxfr file). However the raw data that you have calculated is also saved. That is to say, the dwell value of each pixel on screen is saved. This means that you can load this file in and the image is already calculated; it only needs to be coloured in. If you have spent a lot of time calculating an image, you can save your work and return to where you left off without repeating the calculation. This feature is similar to the .frd files that version 2.5 used to offer, but file sizes are much smaller and file load times are a nearly a thousand times faster. 5. The toolbar buttons for navigating back and forwards, and for undoing and redoing colour scheme changes, are now drop-down buttons. You can undo or redo several changes at once, and see a list of all those changes together with a thumbnail of what you would be reverting to. 6. The control panel is easier to navigate. When choosing a plug-in from the drop-down box, icons and indentation help you to find the plugin you want. There are still 8 buttons above the drop-down box to select the most frequently-used plugins, however you can now customise which 8 plugins appear in these "favourites". 7. The installer for version 3.2 checks to see if the .NET Framework is installed on the computer; if not, it downloads and installs it before proceeding. 1. Smoothing feature, that allows for dwell values, and hence colours, to move smoothly from one to the next. This eliminates the discrete bands of colour that jump from one colour to the next at low magnifications. 2. Despeckle option for Mandelbrot Images. High-magnification Mandelbrot images show "speckling", due to the fact that a chaotic fractal is unpredictable. This means some pixels just happen to have hit a point where the Dwell is unusually high compared to its immediate neighbours, creating a "speckle" of different colour. Optionally, you will be able to calculate Mandelbrot fractals with despeckle applied; instead of just calculating one point, a sample of points that are very close together will be calculated and the average value returned. 3. Random colour schemes. You can now apply a layer of colour that will cycle through colour-space at random. There is also a new built-in colour scheme that will colour the whole area outside the fractal in such a random colour scheme. 4. Zoom option for fitting the fractal to screen. In previous versions, fractals were always viewed at a scale of 100% or 1:1, where each computed pixel occupies one pixel on the screen. This is still the default view, but you can now resize the calculated fractal so that it fits on the whole screen. For small images, this will mean the fractal is displayed larger than its true size, which makes it easier to select the area to draw next. For large images, this will mean that the fractal is displayed smaller than its true size, allowing you to see the whole fractal at once. 5. Added support for 64-bit systems; a previous bug prevented x64 computers from running Mandelbrot Explorer. 6. Added a right-click menu when the cursor is set to an ordinary mouse pointer. This menu allows you to zoom in or out by a range of set amounts with just a single click. 7. Fixed a bug where some machines report that MX3Calc.dll or MX31Calc.dll is missing, and then won't run Mandelbrot Explorer. Unfortunately, the fix for this bug does not work for Windows 98 or Windows ME, so the lowest version of Windows now supported by Mandelbrot Explorer is Windows 2000 SP4. 8. Various other bug-fixes, including an application crash if the user's My Pictures folder could not be opened, a display error when viewing the properties of a Julia Set, and a few menu and toolbar display errors. The icons for files associated with Mandelbrot Explorer now display properly in Windows 2000. Version 3.0. Release Date: 2 November 2009. 1. New fractal rendering engine. Previous versions of Mandelbrot Explorer calculated their fractals in the foreground, which meant that the application appeared to stop responding during a lenghty calculation. As a consequence, it was not possible to see the progress of a calculation or to interract with the program in any way. Now, calculations all take place in the background, meaning that you can see the progress of the calculation as it runs, and continue to work with the application. 2. New user interface. You can still control Mandelbrot Explorer with menus, toolbars and shortcut keys. Previously, to view more than the most basic information about a fractal, or to perform more than the most basic operations, it was necessary to work with a "dialogue box". Now there is a Control Panel area on the right hand side of the application. In this area, you can display any of a large number of "plugins", that display detailed information and allow you to control varoius settings. The only dialogue box you now need is to set the application preferences. 3. Layer-based colour scheme. The colour schemes are now layer-based, meaning that you can edit the colour schemes you create. Previously, all that you could do was to edit a colour scheme by replacing the colour scheme for part of the Fractal. Now, you can view and edit the individual layers that make up your colour schemes. 4a. You can now cancel a calculation or a paint-operation part-way through. 4b. An estimate of how long a calculation or paint operation will take is computed, so that you can see how long you are likely to wait. 4c. Auto-dwell now gives you a choice. Previously, you could either set the maximum dwell values manually, or ask Mandelbrot Explorer to set it automatically. Now, you can ask for Automatic settings, but choose how accurate you want the image to be. You control the balance in the trade-off between an accurate picture and an acceptably fast calculation. 4d. Time-intensive fractal calculations are now performed in native code, not in the .NET Framework, making for a faster calculation. 5a. Minimise to tray. You can now minimise Mandelbrot Explorer to the system tray, so that it takes up less space on the taskbar during calculations. 5b. New file types. Previously, Mandelbrot Explorer had two files types: .FRR stored fractal regions, and .FRC stored colour schemes. Files created with previous versions of Mandelbrot Explorer can still be opened, but files are now saved with one of 3 new file types. .MXAD stores both fractal regions and colour schemes (Mandelbrot Explorer: All Data), .MXFR stores the fractal region (Mandelbrot Explorer: Fractal Region), and .MXCS stores the colour scheme (Mandelbrot Explorer: Colour Scheme). When opening a file, you choose whether to retrieve just the fractal region, just the colour scheme, or everything. This means you can save the fractal region and the colour scheme together as .MXAD file, but then only retrieve the colour scheme from it at a later date. 5c. File Association. All files that can be opened by Mandelbrot Explorer are now associated with the application, so that you can double-click on the file to open Mandelbrot Explorer and load that file. 5d. The built-in colour schemes from previous versions of Mandelbrot Explorer are now accessible from the main menus of the application; there is no longer the need to browse to, and load, a file. 6a. New Colour Bands layers. Much as the built-in schemes cycle through a range of colours to create colour bands, you can now create your own bands of colour where you control both the colours and the widths of the bands. 6b. New Hue-Saturation-Brightness layers. You can now modify the existing colour scheme by tweaking the HSL values for a range of Dwells. 7a. Random Exploration: Mandelbrot Explorer can be set to zoom in at random. You determine when this should stop, but Mandelbrot Explorer will pick an interesting area to enlarge, zoom in to that area, then pick another area and so on. 7b. Save Zoom Images is more versatile than ever before. 7c. 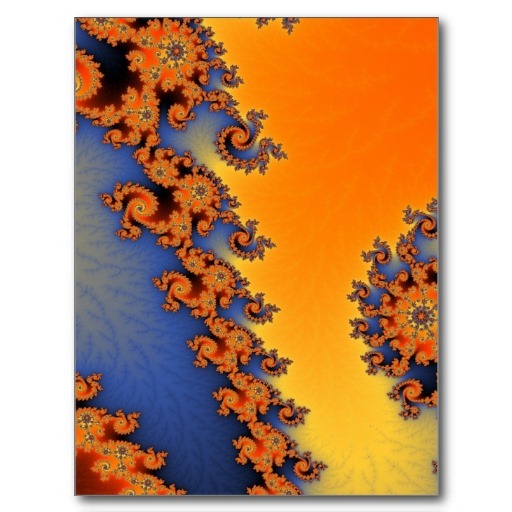 Order Products from Zazzle: Previously, images from the Mandelbrot Explorer could be turned into products such as mugs, posters, cards, t-shirts or mousepads from Zazzle.com. Now, Mandelbrot Explorer allows you to do this with the images you have created. From within Mandelbrot Explorer, you can upload your picture to the internet, and view a preview of what these products might look like when featuring your image. 7d. User Preferences. You can control some of the settings that affect how Mandelbrot Explorer behaves. Previous versions of Mandelbrot Explorer used to zoom in by a factor of 2.5 each time you clicked in the picture; now, you control what that zoom factor is. 7e. Web-update integration. Mandelbrot Explorer will now check the internet for a new version, no more than once a week, and let you know if a newer version is available. You can, of course, suppress these messages, or check on-demand at any point. 7f. Customisable toolbars. You can rearrange the position of the toolbars on the screen, and move the individual buttons around as well. Make your workspace appear how you want it. Version 2.5.0. Release Date: 2 June 2005. Website changed to make it readable in browsers other than IE. Sorry everybody! Added ability to save the data that has been computed, not just the definition of the region to compute. Useful for lengthy calculations. Version 2.4.6. Release Date: 1 January 2004. Spelling mistake corrected in shortcut! Increased number of images that can be saved in a zoom to 999. Redesigned built-in colour schemes so that the colours are more evenly spaced at different magnifications. The old built-in colour schemes are installed into a sub-directory of the installation directory. You can load them from there if you wish to use the old schemes. Version 2.4.5. Release Date: 15 October 2003.